Hooray for Romania who have made this surprising move in order to protect their native carnivores. It is believed that the ban has co-insided with a push for the protection of the wild Carpathian mountains which have suffered in recent years from corruption between foresters, hunters and local officials. Since Romania’s appointment to the European Union in 2007, there has been a growing trend for trophy hunters to sport shooting large animals with 550 bears, 600 wolves and 500 big cats in the quota for 2016 alone. Some paying up to £8,800 for the luxury. In the past, loopholes in European law have allowed hunters to continue this sport under the legal act of ‘culling wild animals which have proven to be a danger to humans’. After calculation, quotas would be given by the government and divided by hunting companies. Methods proving all very dubious. 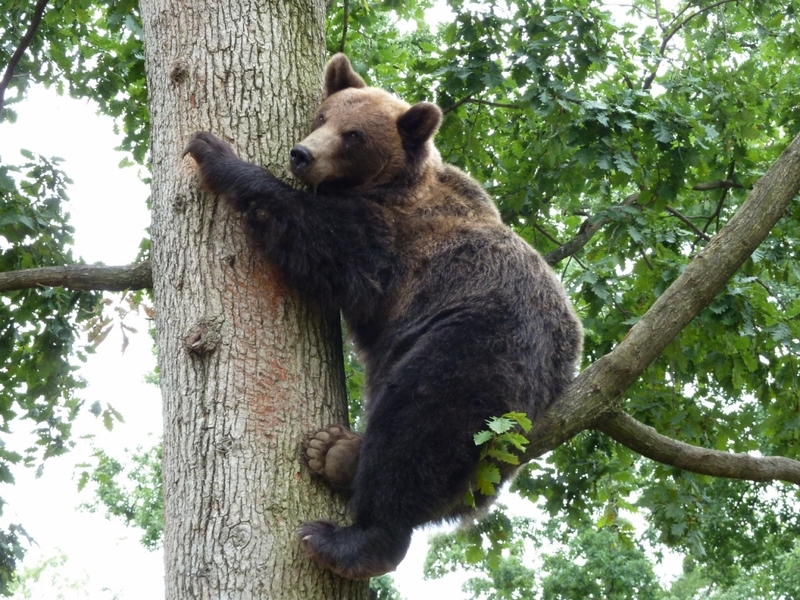 The official figure for wild bears in Romania is 6000 and wolves thought to be 4000, however it seems estimations have been grossly over-guessed due to individual counting in small areas where animals have crossed over. Romania it seems will be divided on the issue with urban people supporting the ban and rural livestock farmers for example finding it difficult with these animals being a constant nuisance. Many argue that hunting does not solve the problems with conflicts between animal and human. In any case, with the Carpathian mountains being the richest place in Europe for biodiversity, long may this ban and the fight on corrupt forestry continue! If you would like to help look after rescued bears who have been mistreated by human interaction and cruelty, then have a look at Oyster’s opportunities to volunteer at a bear sanctuary in Romania.